Today is Abraham Lincoln’s birthday. He would be 210 years old! The president is one of my heroes, primarily because of the role he played in saving this country. Mr. Lincoln had a wonderful spirit about him and his humility, compassion, and willingness to forgive his enemies arguably saved this country from a terrible aftermath following our Civil War. Reconstruction was hard enough as it was, but at least we did not have guerrilla warfare to contend with, something that would have probably done us in as a country forever. We healed as well as any country could following a civil war. If you don’t believe me, check out other countries who have suffered through a civil war. Most of the time it didn’t turn out well. The reason our country’s reconstruction went relatively well is because of President Lincoln. He set the tone for U.S. Grant and the other Union commanders by insisting that they treat the vanquished with dignity and respect. 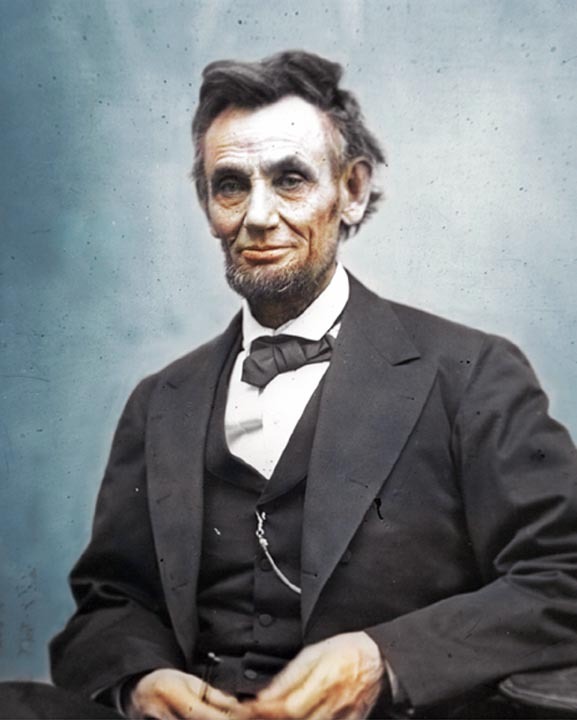 Lincoln insisted that the rebels would not be treated harshly or punitively and as a result, everyone else followed suit, including the Confederate commanders. Of course, this wasn’t all Lincoln’s doing, but as president he set the tone for others to follow as great leaders always do. It would have been just as easy to hang all the rebel commanders and make life miserable for the vanquished. But Lincoln knew better. He knew how that would turn out. It would have been interesting to see how much more quickly we would have healed as a nation had Lincoln lived to serve a full second term. Instead, the zealots and self-righteous decided to “fix” Lincoln’s initial proposals for reconstruction and nearly managed to destroy all that President Lincoln had sought to establish in the process. I am convinced God put Abraham Lincoln in our history for a reason. His presidency is more evidence that God has blessed this country. Whether that blessing continues today is debatable. But that’s a different story for a different day. Today, it is fitting that all Americans honor our 16th president and give thanks to God for placing the right man in the right situation at the right time. Happy birthday, Mr. President, and thank you for your service to our country.